If you have Parkinson's disease, you already know that every day can be a struggle. Simple tasks that most people can do without a thought may be a challenge for you. If your Parkinson's has gotten so bad that it prevents you from working, you may be even more stressed and frustrated. 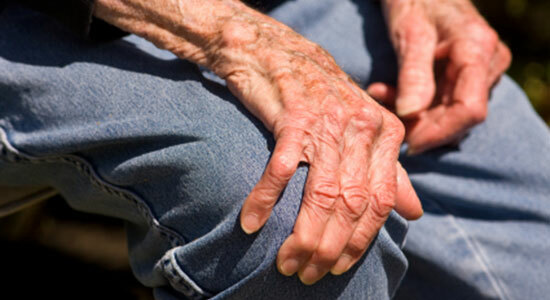 Because the effects of Parkinson's may make it hard to do any type of movement, it's considered a physical disability. You may be eligible for Social Security disability (SSD) benefits. Unfortunately, the Social Security Administration (SSA) denies over three-quarters of initial applications. If you're worrying about not having a paycheck and you're having trouble paying your bills, trust Edgar Snyder & Associates to help you. Whether you want help applying for SSD or appealing your denied claim, our law firm is ready to fight for the SSD benefits you need. Not sure if you qualify for SSD or Supplemental Security Income (SSI) benefits? Basically, it depends on your work history. If you paid into the Social Security system within the past five years, you may be eligible for SSD benefits. If you haven't held a job long enough, or recently enough, you may be eligible for SSI benefits instead. mind that the SSA requires medical records and details about your Parkinson's disease – when you were officially diagnosed, the severity of your Parkinson's, if you are responding to treatment, etc. It's critical that you visit your specialist regularly and follow through with your prescribed treatment plan. Over time, some patients stop responding to prescription medications. Never discontinue your medication without consulting your physician. The Social Security Administration's evaluation process is tough and complicated, and you want to increase your chances of being approved. To our team, you're a person. To the government, you're just a claim number. We believe in providing considerate, attentive service to our clients. When you choose Edgar Snyder & Associates to represent you in your SSD claim, you can be sure that we will treat you with respect. We will explain the legal process to you, making sure you understand the options available to you and the possible outcomes of the decisions you make. We will treat you the way you deserve to be treated. Our success record speaks for itself. We win the majority of appeals for our clients. And if you're still not sure hiring a lawyer is worth it, know that we operate on a contingent fee basis. If we don't win your appeal, or if we help you apply and you don't receive SSD benefits, you won't owe us a penny. If your Parkinson's is so severe that you can't work, but the Social Security Administration denied your SSD claim – or if you want help applying for SSD benefits – don't waste any time. Contact Edgar Snyder & Associates at 1-866-943-3427, or fill out our free legal consultation form. Remember, you have only 60 days to file an appeal. Hiring an attorney may mean the difference between whether or not you collect SSD benefits, so get started today.